The Palm Paddle has been designed specifically to develop a good catch – the most elusive element of the front crawl stroke – whilst also letting you know if your hand maintains the correct path during the whole stroke. The unique design encourages the ‘early vertical forearm’ (EVF) necessary for a good catch (replicating the “fist drill”) but retains the swim-specific positioning of the hand throughout the stroke cycle. Due to the shape, the Palm Paddle promotes a greater feel for the water – on both the hand and forearm – post Palm Paddle training. 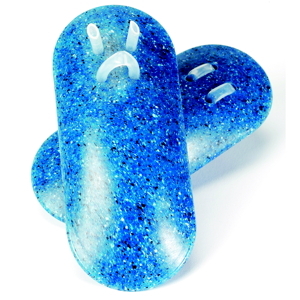 The Palm Paddle is extremely user friendly and is quick and easy to attach to your hands and is suitable for all swimmers, as the design reduces bias against anatomical size differences it can be used throughout your swimming career and is not specific to gender or ability level, withstanding the test of time in your kitbag. In addition, the Palm Paddle reduces the load on the shoulder (unlike traditional paddles) so is an excellent aid to continued swimming during recovery. 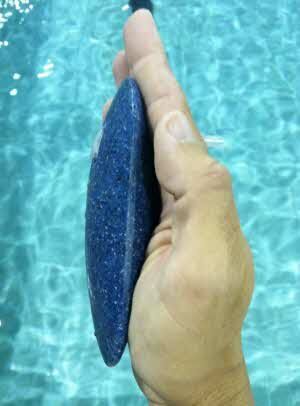 The Palm Paddle is suitable for swimmers of all abilities and size.